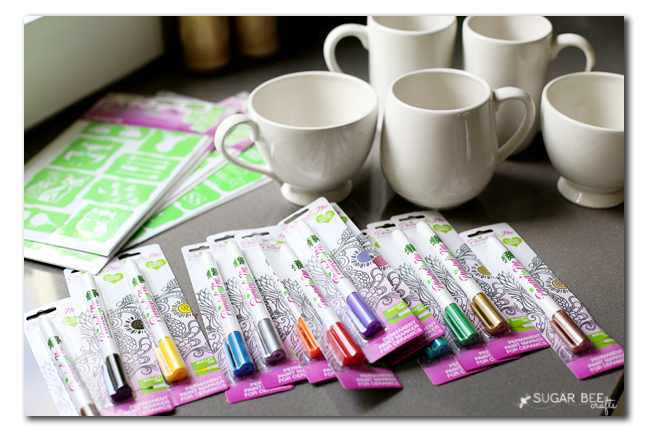 They have mugs and stencils in the product line, in addition to the pens. 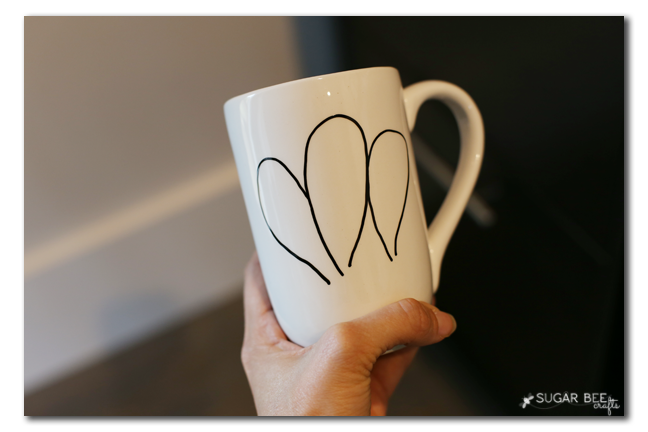 I love the fun shapes and silhouettes of the mug options. And tons of paint colors to choose from! 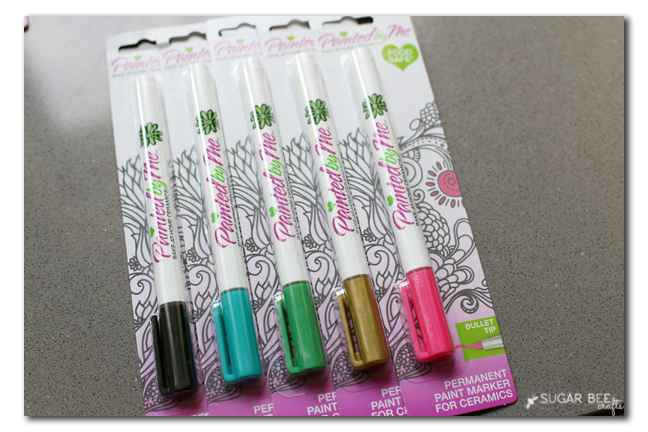 For my design, I narrowed the colors down to black, teal, green, gold and pink. 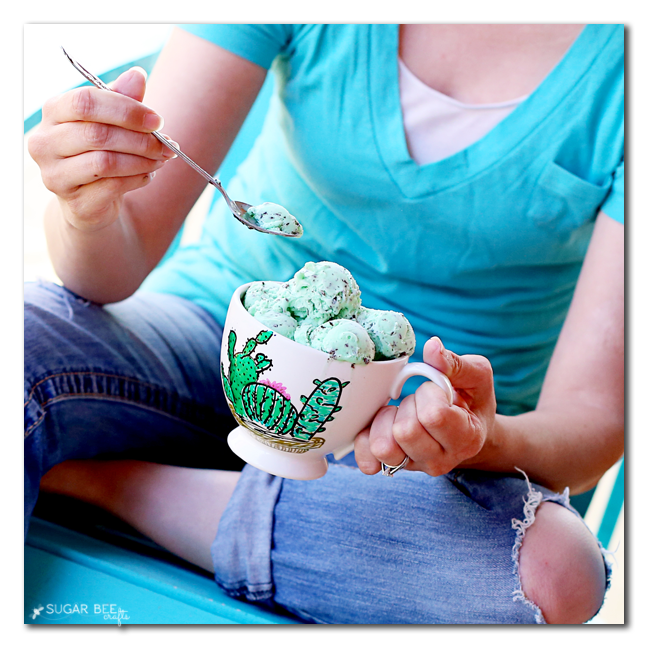 Obviously most of the cactus is green, but I added accents of teal and really love that touch. Then I filled in with green – – I didn’t let my outline dry completely, which is why there are bits of the black line pushed to the side – I really liked how that was looking. I was trying to go with an imperfect, watercolor type of feel. I just kept adding detail and tweaks and then called it done – voila! 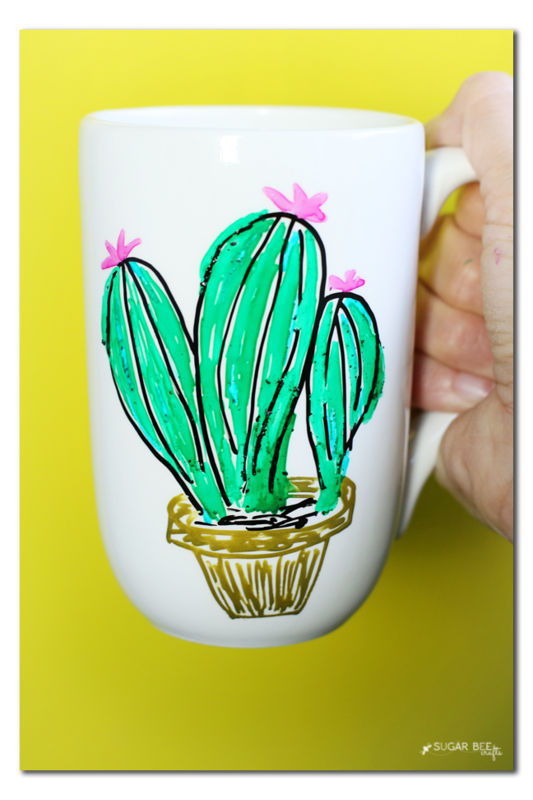 And then I did a couple of other mugs to match the theme. I just love how they turned out! 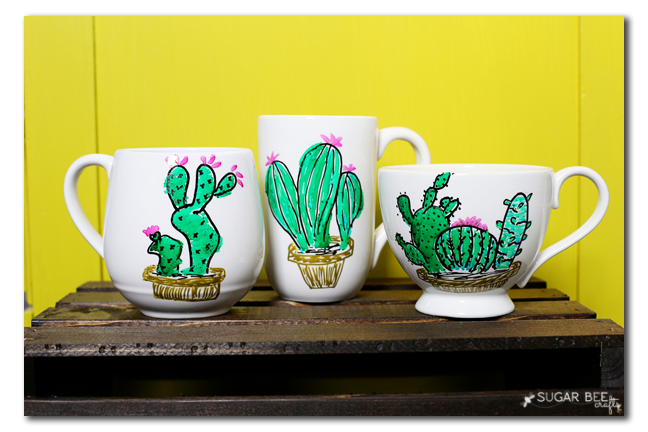 Head out and try those Painted by Me mug paint pens – you’ll love them! 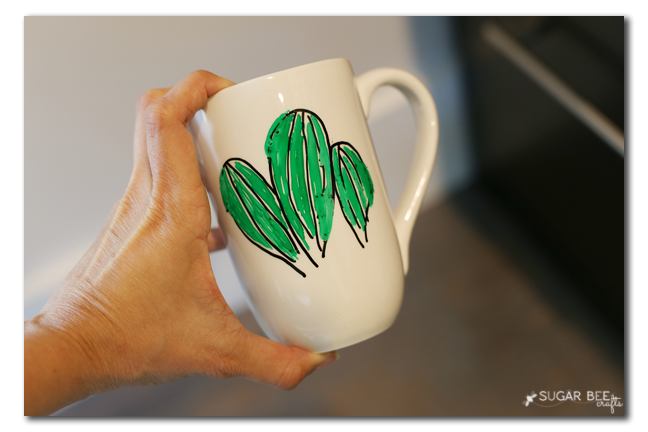 Painted by Me is a completely food safe, permanent, and bake at home ceramics program – perfect. 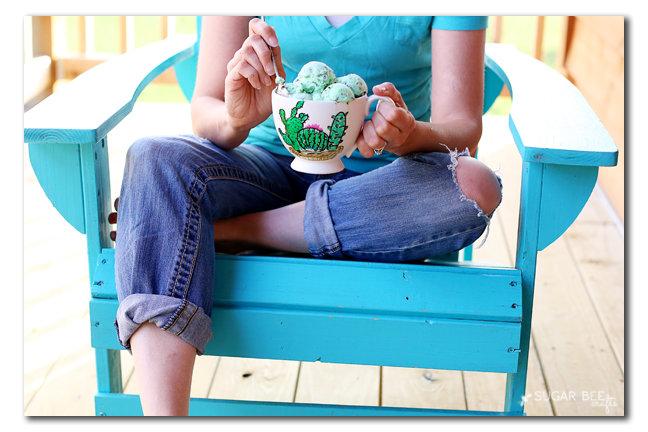 And don’t forget to enjoy your ice cream this summer!! Just so ADORABLE! I absolutely love this Mandy! What a fun idea! These would be perfect for a birthday party activity. Thanks for sharing!! 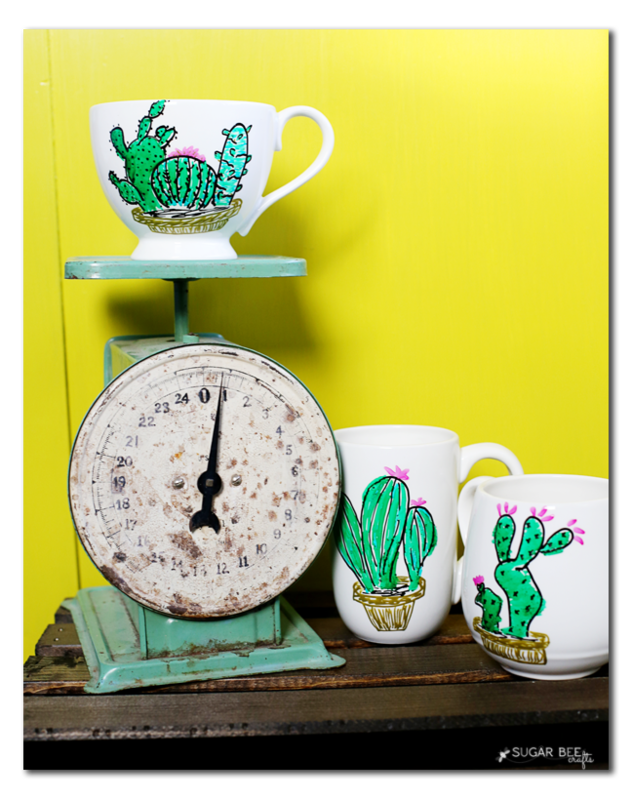 Loving the cacti! Such a cute idea.